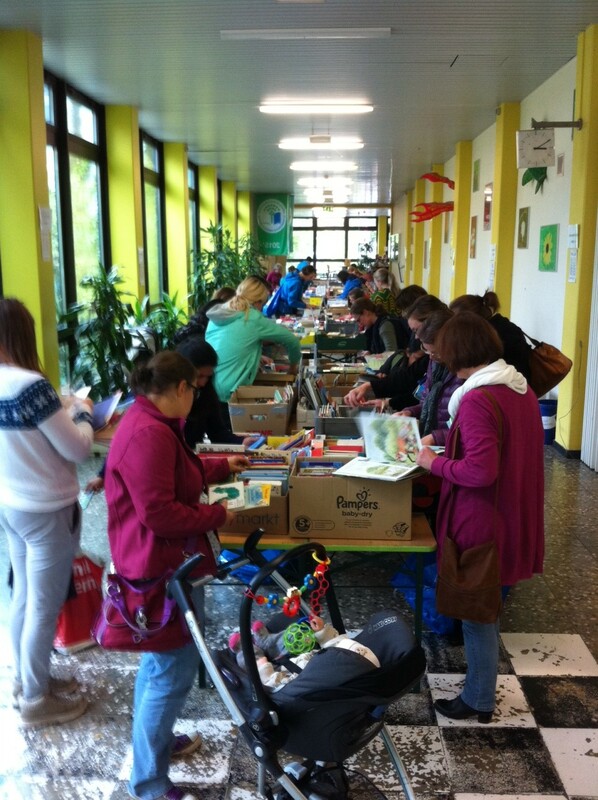 Bücherflohmarkt „English Book Sale“ – HA-ILE e.V. Ernst-Mach-Gymnasium, Jagdfeldring 82, 85540 Haar. The high school shares our close links with Ilembula and has again kindly offered the use of its facilities for the sale. This venue has proved ideal for the sale as it features plenty of light and space, and makes it possible to hold the entire sale on the ground floor. There is also enough room for prams and strollers and wheelchairs. The school is situated just 10 minutes‘ walk from Haar S-Bahn station ( S6) and there is also good parking. For a map showing the school’s location please follow this link: https://goo.gl/maps/ykue1e1w26K2. 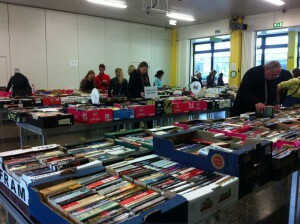 There will be thousands of books and DVDs on sale, priced between 50 cents and 5 euros. The sale features something for every taste – from general fiction and children’s books to travel, business, cookery, science fiction … all sorted by category. Visitors will also have an opportunity to browse and chat over a cup of coffee or tea and home-made cakes in the lounge area. There will also be a play section for children so that parents can shop at their leisure. The English Book Sale has been running since 2008 and the entire proceeds are used to provide practical assistance to families and orphans in Ilembula, Tanzania. The Ilembula project was established over 30 years ago, and has worked continuously since then to enhance the lives of the community of Ilembula, Tanzania through health, education and environmental initiatives. 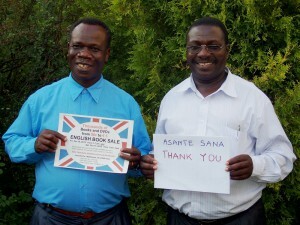 The proceeds of the English Book Sale help to fund these projects. The 2017 Spring Clearance Sale set a new record as well, selling over 4,000 books at 2-for-the-price-of-1 and raising 2,960 euros. The 2017 Autumn Sale earned 14,000 euros – also a new record! This is quite an achievement considering that over 90% of the books cost 2 euros or less. The success of the Book Sale would not have been possible without all the generous donations of books and DVDs by the general public (17,000 items were donated in 2016) and without the Sale’s dedicated team of currently 26 volunteers working tirelessly for hours sorting and pricing the thousands of donations. Volunteers bringing order into chaos! Funded a special health and hygiene campaign in schools in and around Ilembula to promote health awareness amongst the pre-teens and teens, in particular AIDS prevention. Please browse this website to see photos of some of the projects to which the Book Sale has contributed. 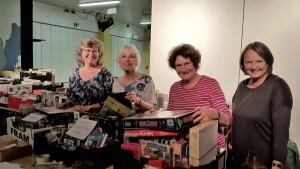 The Book Sale is only possible thanks to the thousands of books and DVDs donated and purchased so generously by the general public over the years. Please contact us to obtain further information about donation procedure (see Contact Information below). English medical, surgery, midwifery, nursing, anatomy or botany books, encyclopedias; laptop computers (no matter how outdated, as long as they are in working order and are not password-protected), cutlery, kitchen aids and appliances, tools, musical instruments, mechanical typewriters; shoes (clean, but no winter boots please!) – please do not bring clothes as transportation costs to Africa are much too high to make it worthwhile and as we prefer to support the local textile industry. District Pastor Kuyava from Ilembula and Mr Kidodelo, the managing director of Emmaberg girls‘ boarding school, expressing their thanks for the Book Sale’s support.